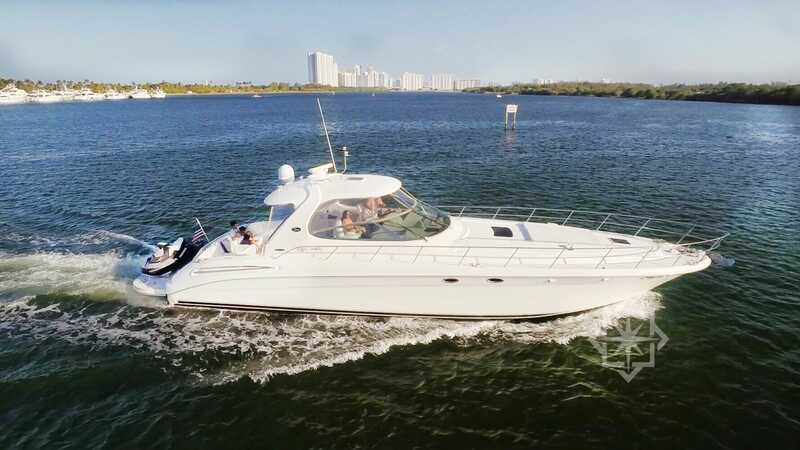 Available for Private Yacht Rental Miami, this 54′ Searay Sundancer is very comfortable for a couple’s romantic getaway to the Bahamas or Cuba or a local cruise around South Florida for a small group. 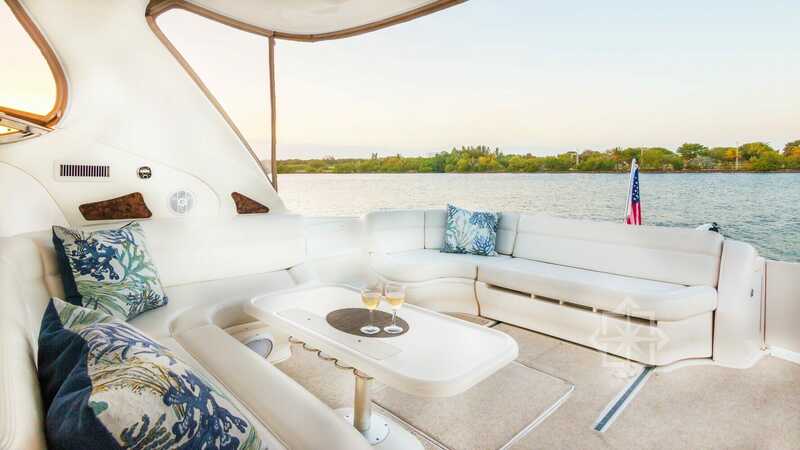 The yacht features a U-shaped outdoor seating, removable central table and electrically controlled retractable sunpad. 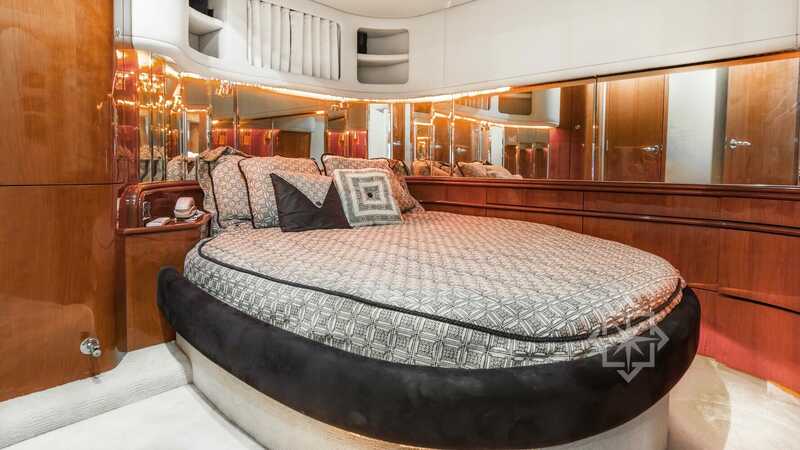 What’s more, the deck offers a wet-bar, refrigerator, ice maker without needing to go inside the yacht in order to make refreshing drinks. The interior salon’s Cherry wood interior gleams with a full gloss and comfortable wrap around seating. 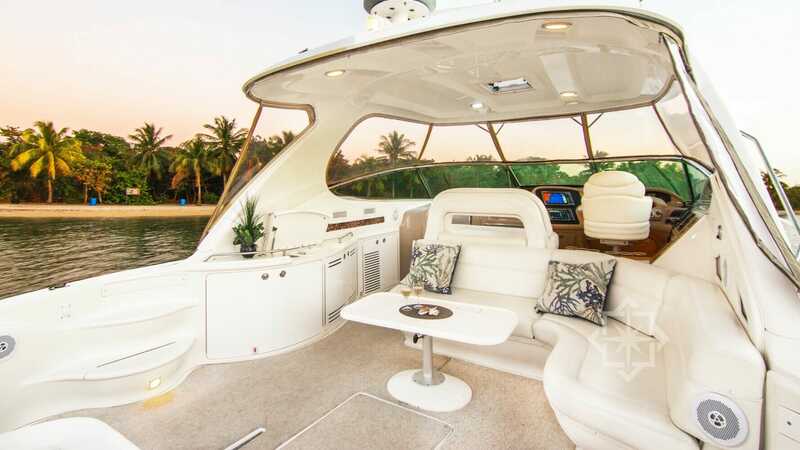 For entertainment Satellite TV, Sony Radio/CD changer subwoofer, amplifier, four speakers, and cockpit remote control are included in the vessel. For those who love water-sports a jet ski is also included for added fun. 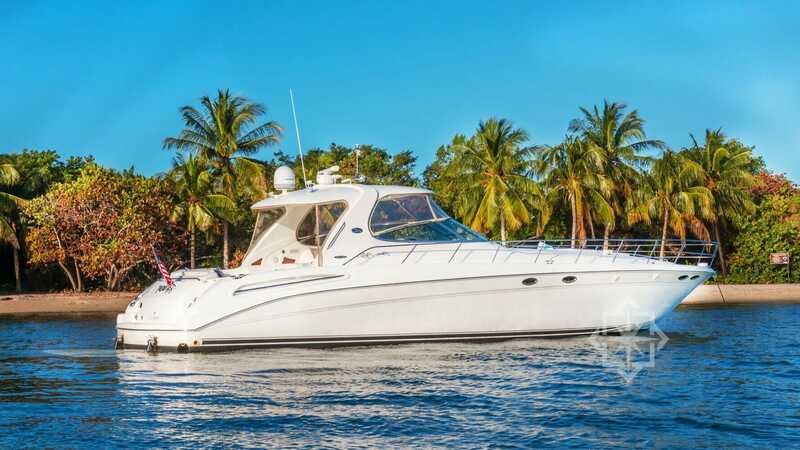 As one of the Miami’s leading yacht rental operators, StarLux is your private yacht rental miami expert for first class private events on any yacht in our fleet. 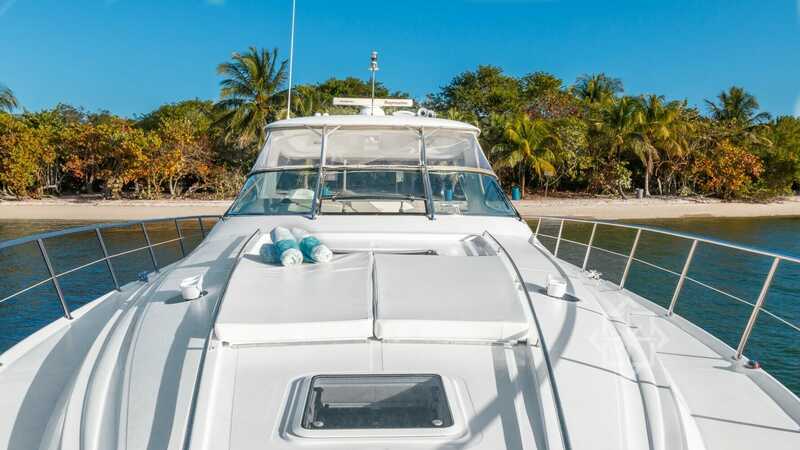 Sail in class and comfort on yachts from 34 feet to over 100 feet. 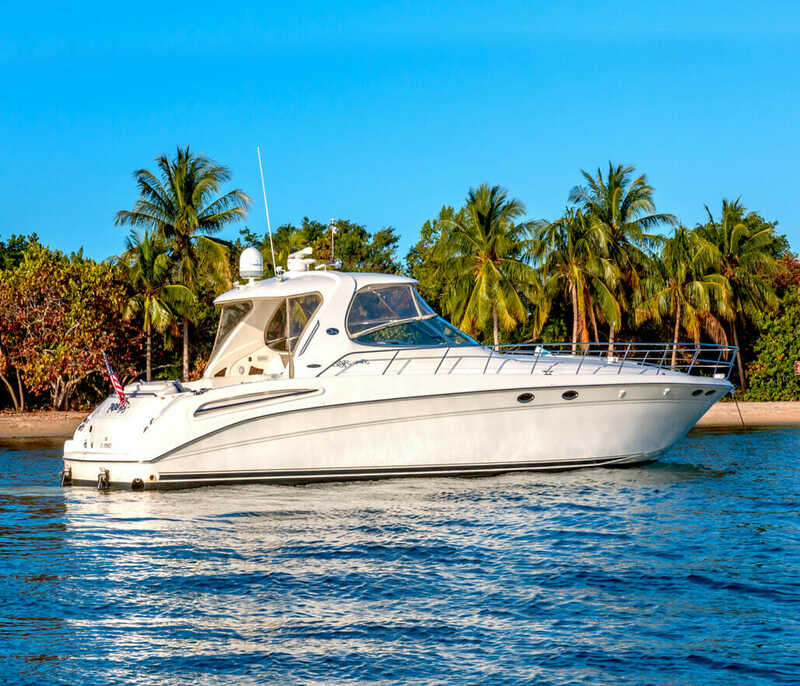 We offer the world’s most luxurious yacht charter fleet here in Miami, Fort Lauderdale, the Bahamas and the Caribbean, for you to select from.